If you work from home or just need an organized space to do your bills, crafts, and unwinding, you need a workspace you can count on. Home offices are becoming increasingly popular as much of the world moves to a telecommuting model. There is just one problem with this: it can be hard to fit all the conveniences of a modern office into one small room. Luckily for you, More Space Place Jacksonville has a few tricks to help you design the perfect custom home office. First and foremost, you need a desk. If the space you’re working with is small, try a fold-down option. It attaches to the wall on hinges, and you can fasten it in place when not in use. When it’s time to pull out your laptop, just unlatch it and fold it down. This is especially beneficial in multipurpose rooms such as kitchens, spare rooms, garages, and even bedrooms! Get everything you need out of an office without minimizing your space for your other activities. 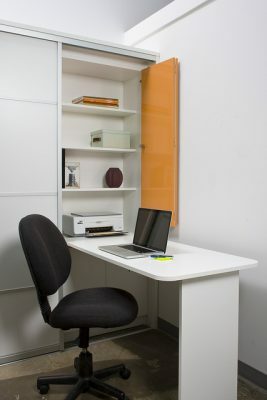 Smart storage is crucial in a home office, which is where hollow furniture comes in. Hollow end tables, footrests, and stacking cubes are a perfect way to keep different items separated and accessible, while keeping important documents organized. 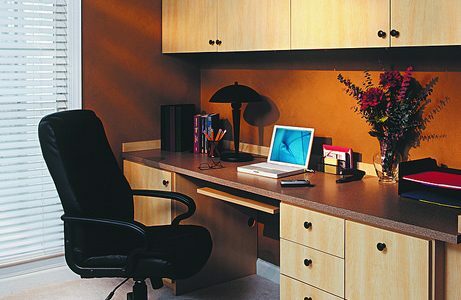 If you have a makeshift home office in your bedroom, use a bedroom bench to store your work materials. More Space Place Jacksonville can install custom cabinetry and storage units to help you keep track of everything you need. 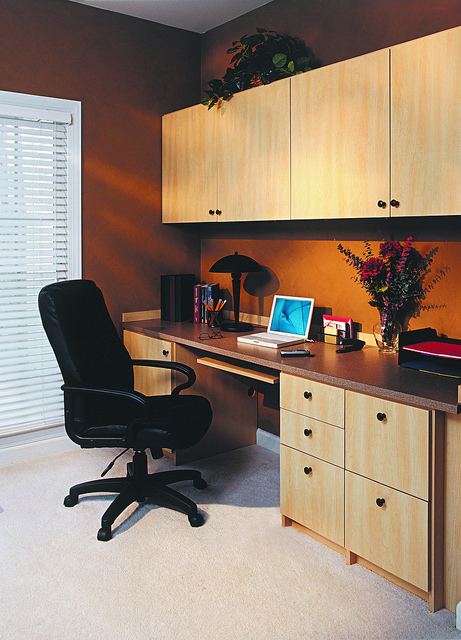 If you don’t have an entire room to dedicate to a home office, organization is something that can’t be overlooked. Be sure that everything you need to work has a dedicated place to be stored in at the end of the day. Of course, this is a good approach you’re your home in general, but it’s especially important in your office space, where you’re often in a groove that you don’t want disrupted by scrambling to find a missing paper, credit card, receipt, or note. Features such as filing drawers, lockable cabinets, and bookshelf bins can make a huge difference in your office. The trick to a fantastic workspace is to not sacrifice the room’s other uses. Does your home office double as a guest room? Well then don’t forget about the usefulness of a Murphy bed! Use one of our sleek designs with customized features to maximize the usefulness of your space. 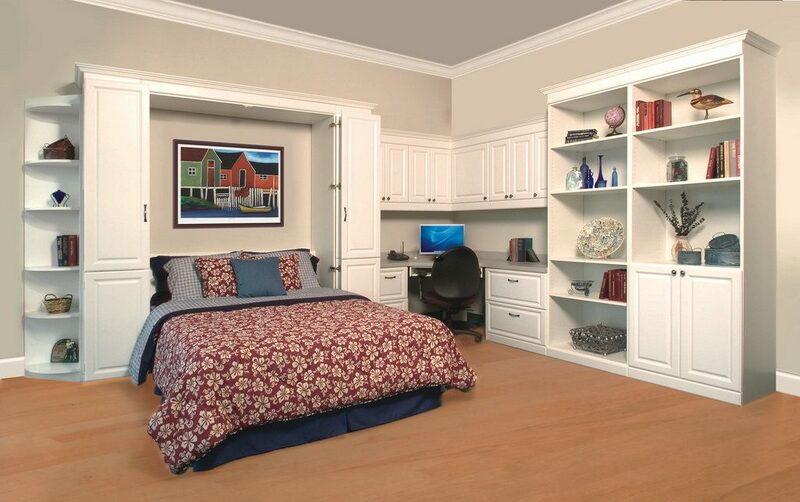 A Murphy bed/home office unit from More Space Place allows you to have the spacious, organized desk to work at during the week, while still giving you a comfortable and cozy room to host visiting guests over the weekend. If you’d like to learn more about how we can help you design the office of your dreams, please feel free to get in touch with us here at More Space Place Jacksonville. We would love to hear about your office ambitions and find the right solution for you. Call us today!